Final Cost = as low as $7, just $1.17 each! New High Value Reach Coupons = Cheap Toothbrushes! https://savvywifehappylife.com/wp-content/uploads/2016/09/SavvyWifeHappyLife-logo-2.png 0 0 Brandi https://savvywifehappylife.com/wp-content/uploads/2016/09/SavvyWifeHappyLife-logo-2.png Brandi2013-09-13 15:27:572013-09-13 15:27:57New High Value Reach Coupons = Cheap Toothbrushes! New $1/1 Werther’s Originals Coupon = FREE at Many Stores! 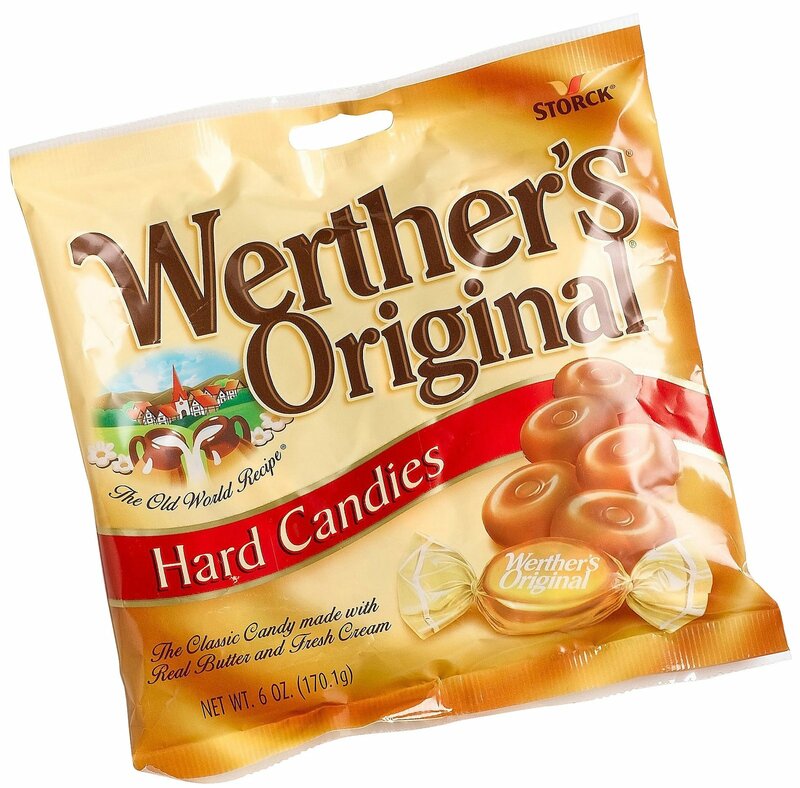 UPDATE: The $1/1 coupon is already gone, but there’s a new $0.50 off any One (1) bag of Werther’s Original available! https://i2.wp.com/savvywifehappylife.com/wp-content/uploads/2013/07/zqb-4403_1z.jpg?fit=1600%2C1576&ssl=1 1576 1600 Brandi https://savvywifehappylife.com/wp-content/uploads/2016/09/SavvyWifeHappyLife-logo-2.png Brandi2013-07-26 19:45:552013-07-27 21:03:09New $1/1 Werther's Originals Coupon = FREE at Many Stores! 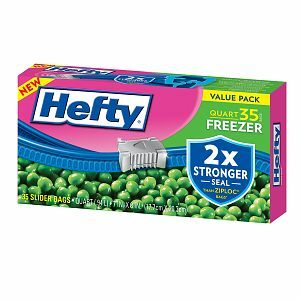 New $1/2 Hefty Slider Bags Coupon = As low as $0.34! Hurry on over and print out this new coupon for $1.00 off TWO (2) packages of Hefty Slider Bags! ShopRite has them on sale this week for $1.34. If you’re local (Glen Burnie), our store will double the coupon up to $2, making each box just $0.34. If your store isn’t doubling $1 coupons, you’ll pay $0.84/box which is still a great price especially with back-to-school approaching! Also, check your local Dollar Tree because you’ll probably spot them for $1. Just $0.50/box after the $1.00 off TWO (2) packages of Hefty Slider Bags coupon. https://i1.wp.com/savvywifehappylife.com/wp-content/uploads/2013/07/Hefty-Slider-Bag.jpg?fit=300%2C300&ssl=1 300 300 Brandi https://savvywifehappylife.com/wp-content/uploads/2016/09/SavvyWifeHappyLife-logo-2.png Brandi2013-07-15 14:12:082013-07-15 14:12:08New $1/2 Hefty Slider Bags Coupon = As low as $0.34! 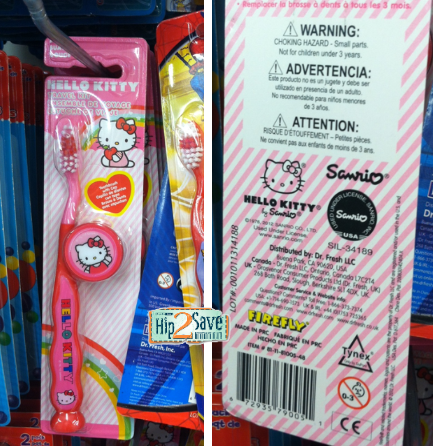 New $1/1 FireFly Coupon = FREE Hello Kitty Toothbrushes at Dollar Tree! Make sure you print the $1.00 off ANY FireFly Toothbrush coupon! Here’s a deal at Dollar Tree for you where you may be able to score a FREE Hello Kitty Firefly Toothbrush! Dollar Tree does accept internet printables, but you are limited to 2 per day. The Firely logo is printed on the back of the package so you shouldn’t have any problems using this coupon. Dollar Tree’s stock may vary by store so keep that in mind if you cannot find this brand. Thanks, Printable Coupons and Deals and Hip2Save! https://i1.wp.com/savvywifehappylife.com/wp-content/uploads/2013/07/screen-shot-2013-07-12-at-9-55-17-am.png?fit=433%2C446&ssl=1 446 433 Brandi https://savvywifehappylife.com/wp-content/uploads/2016/09/SavvyWifeHappyLife-logo-2.png Brandi2013-07-12 21:39:202013-07-12 21:39:20New $1/1 FireFly Coupon = FREE Hello Kitty Toothbrushes at Dollar Tree! New $1/1 Colgate Coupon = FREE Toothpaste at Walmart, KMart, Dollar Tree + More! You should definitely hurry on over and print the $1.00 off (1) Colgate Total Advanced Toothpaste coupon I posted earlier! Walmart, Kmart, Dollar Tree and probably other stores may carry the 4 oz Colgate Total Advance Toothpaste for just $0.94-$1! Use the $1.00 off (1) Colgate Total Advanced Toothpaste coupon to get them for FREE! Hurry, this coupon won’t last long! Also, keep in mind that not all stores carry the same merchandise, but you should definitely be able to score free toothpaste somewhere around town. https://i2.wp.com/savvywifehappylife.com/wp-content/uploads/2013/06/Free-Colgate-.jpg?fit=400%2C523&ssl=1 523 400 Brandi https://savvywifehappylife.com/wp-content/uploads/2016/09/SavvyWifeHappyLife-logo-2.png Brandi2013-06-10 15:57:512013-06-10 15:57:51New $1/1 Colgate Coupon = FREE Toothpaste at Walmart, KMart, Dollar Tree + More!